This is different from what we saw on FedBizOpps only a few days ago. There is a notional Polar Icebreaker Acquisition Schedule that anticipates contract award between Q4 FY 2018 and Q4 FY2019. Capable of independently breaking though ice with a thickness ≥ 6 ft (threshold) / ≥ 8 ft (objective) at a continuous speed ≥ 3 kts. Capable of independently breaking through ridged ice with a thickness of 21 ft. Capable of breaking a single-pass channel to a width of at least 83 ft.
Three 9 ft x 35 ft buoys including associated buoy mooring equipment. Six twenty foot equivalent units (TEU) with a maximum weight of 20 tons each. Weapons limited to four .50 cal. and boarding party weapons. Aviation facilities include hangaring two H-60s with blades folded. Again we have Bryant’s Maritime Consulting to thank for the link. This entry was posted in Antarctic, Arctic, icebreaker, Shipbuilding, WAGB by Chuck Hill. Bookmark the permalink. If we ever build that many, shouldn’t a few be armed? or at least have the magazines to arm its helicopters? We could do that with all of them. A big hull like this should be MV22 capable, Anything about vehicle storage? If it has space for six 20 foot containers, it should have room for some vehicles. The flight deck will almost certainly be large enough for the MV-22, but there is also the question, is it strong enough to resist a hard landing of so large an aircraft? It is probably worth ensuring it is. The V-22 is the new Navy COD (carrier onboard delivery), but it was selected over more conventional aircraft because it would also be able to land on vessels smaller than carriers. MV22 as COD. Yep it was to that I was alluding. The only sensible roll for it really. This is a common way to cite a towing requirement. Most ship specs contain this language. This way they not have to cite a resistance number. The designer already knows the resistance of the tow because its the same as the resistance from the speed prediction. And bollard is, by definition, at zero speed, so not really a towing requirement. Because it is common, does not mean it is a good way to do it. We should have in mind some vessel we expect to tow, presumably a supply vessel for Antarctica. It might have a higher or lower resistance number than the icebreaker. The most unlikely case is that the icebreaker will have to tow itself. Not much that we didn’t know from the draft data package. Yes the original industry day has already passed. Only one on one meetings remain. Tups, thanks, I had not seen this before. Actually there were a few specifics I don’t think I had seen before. Expected contract award in FY2019. “SWAP for specialized capabilities”–I am not sure what that means but it sounds a lot like modularity and probably containers. .
Actually i am a little surprised the “Objective” Op Tempo is as low as it is, 4050 hours/year. That equates to 169 days while the threshold Op Tempo is only 3300 hours/year or 138 days. Russia has a great number of icebreakers, but many of those are smaller port and river icebreakers, or offshore vessels. 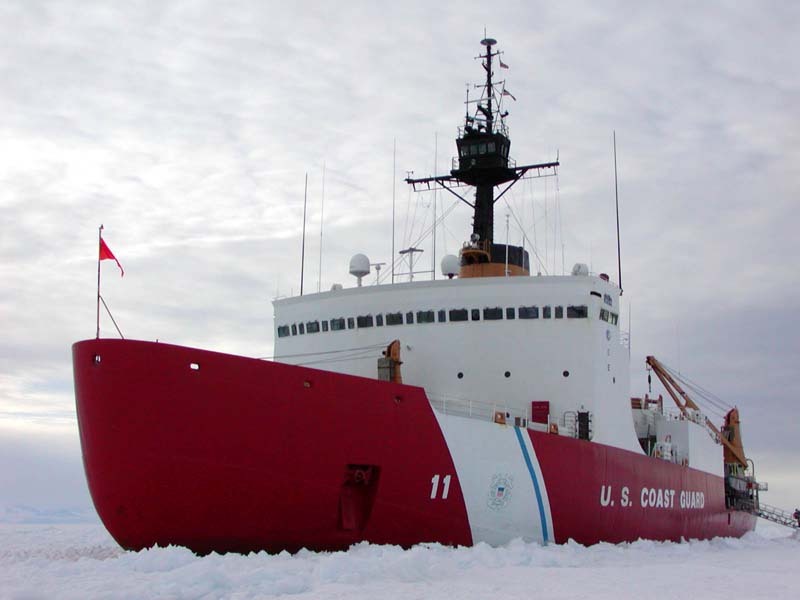 Also, many of the bigger non-nuclear vessels in the Russian icebreaker fleet are smaller and less powerful than the USCGC Healy. In fact, only the Ermak class (3 vessels built in 1974-1976) and the long-delayed Viktor Chernomyrdin are more powerful than the American “medium” icebreaker.